LH Express is located on the second floor of the Langsdorf Hall and specializes in healthy sandwiches, wraps, soups, and salads. The Café is known for their large selection of wraps and sandwiches made using fat free meats on an assortment of breads. 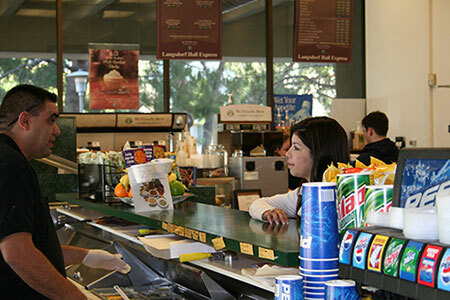 Along with serving healthy items, this location serves Starbucks Coffee and has a wide variety of baked goods & snacks.